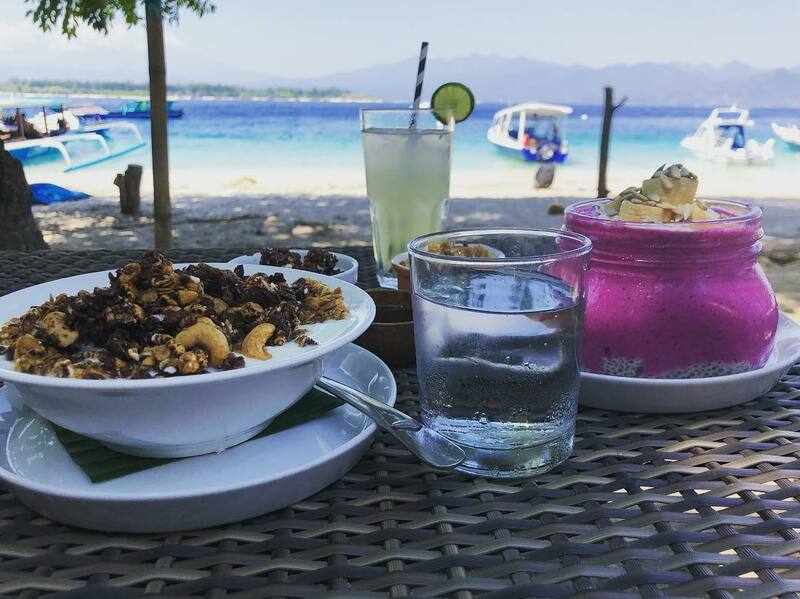 Of the three Gili Islands, the food nooks in Gili Trawangan offers the most delicious and healthy options. 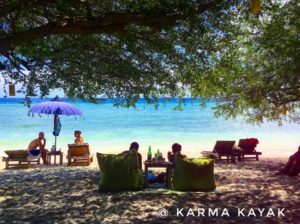 Gili Trawangan is a dream island for mindful-eaters, with both Indonesian and Western cuisines. 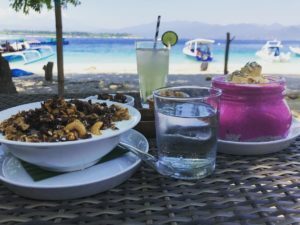 Here is a list of the best hideouts for vegans and veggie lovers in Gili Trawangan. 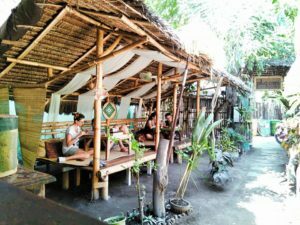 Pituq is a vegan restaurant in Gili. It is also one of the most famous restaurant here. We recommend the jackfruit curry and the laksa here—though everything on the menu looks so delish and healthy! The place is also very cozy, and the staff are friendly. Best service ever! 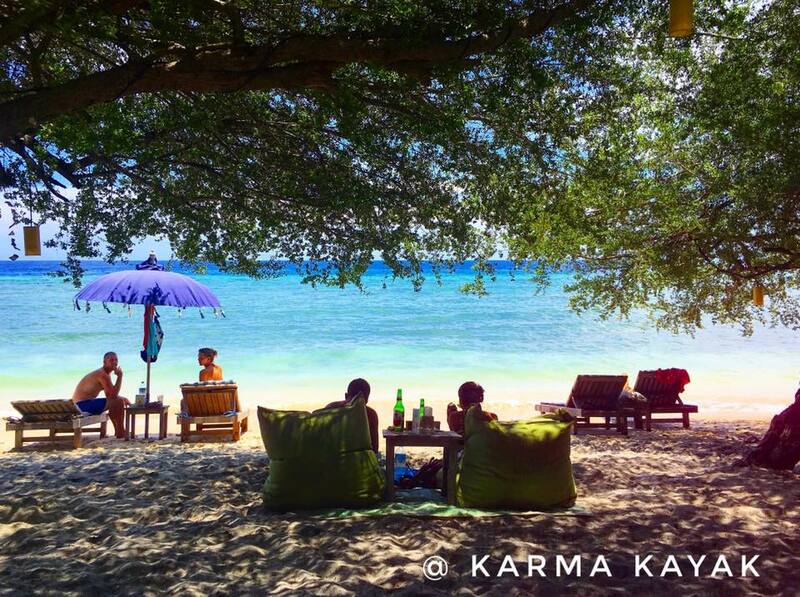 On a calm stretch of beach on the north end of the island, Karma Kayak offers a tapas menu that makes a very satisfying vegan meal! They serve tofu sticks, green beans in tomato sauce, and the best-tasting fries we've ever had! Highly suggested for people who are looking for healthy food plus an amazing location! 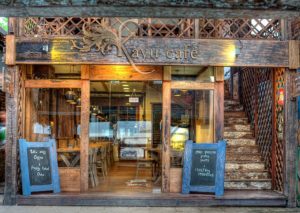 This cordial bistro has tables ideal on the buzziest segment of the beach, so it's an incredible place to watch the backpackers and divers pass by. They serve the best jackfruit pulled pork sandwich! With its chalk-written menu and rustic design, Kayu Cafe is a place to be if you’re looking for refreshing food as well as an invigorating ambiance. Their vegetarian food from breakfast to dinner are all so delectable and instagrammable. Definitely one of our favorite food nook here in Gili Trawangan!